The Flat (Mast Up) Cover is the most versatile cover, it will fit your boat when the mast is either up or down. 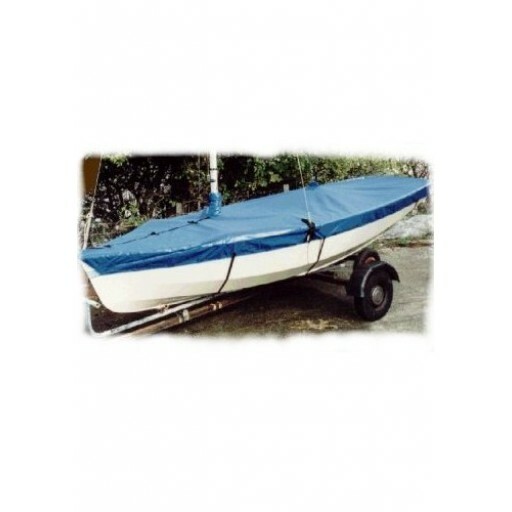 This makes it ideal in the dinghy park and can also be used when towing/trailing. It has openings for the mast, shrouds and forestay and a halyard point in the middle of the cover behind the mast so you can lift the cover slightly to reduce pooling rainwater. 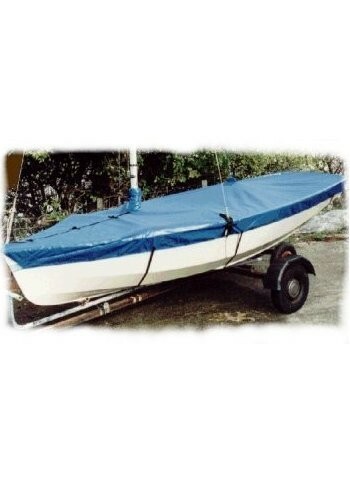 Protect your Enterprise dinghy with one of our TridentUK Boat Covers. The Flat (Mast Up) Cover is the most versatile cover, it will fit your boat when the mast is either up or down. This makes it ideal in the dinghy park and when towing. It has openings for the mast, shrouds and forestay and a halyard point in the middle of the cover behind the mast so you can lift the cover slightly to reduce pooling. 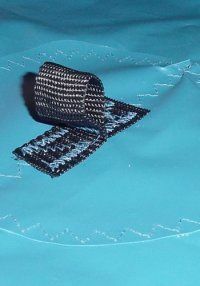 The cover is made from a blue 450gr/m sq. (16oz/m sq.) 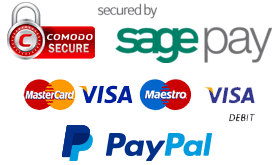 non breathable PVC coated polyester fabric which is UV stabilised and chemically treated to withstand fungus and rotting from bird droppings. 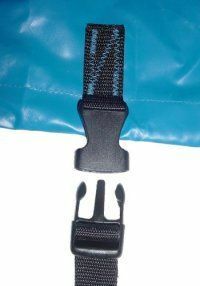 All straps on the cover have snap buckles to make it easy to attach and remove the straps. A spare buckle is supplied just in case one gets broken. • Material Weight: 450 gr/m sq. - 16 oz/m sq. 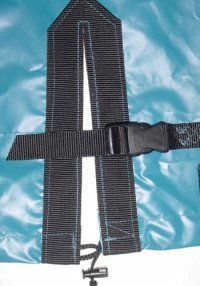 If the cover has opening around the shrouds, then we fit a webbing reinforcement and buckles. All the straps are fitted with snap buckles, this allows easy fitting of the cover. Flat covers which have the mast up, have an attachment point for your halyard. This helps to prevent pooling of water on top of the cover. 450 gr/m sq. - 16 oz/m sq.